Live at LICA is turning its gallery into a social space complete with café bar to explore the question – what is a 21st century art centre? It’s a question we feel is fundamental to the culture industry right now and will be at the core of OPEN, our annual season that presents and discusses ideas for the future with our communities, artists and peers. We feel an art centre should be communal and tell us who we are and who we want to be; if not a social movement, it should at least provide a deeper awareness and sense of place. It should have a design that can situate all disciplines together in the search for knowledge and understanding and have at its core the unique process and language of art, which is able to articulate things that cannot be expressed otherwise. During OPEN 2015 we’ll start this journey, exploring what an art centre could be and what it should do. We'll also engage in the sorts of activity you might expect us to - from exhibition to a networked rave. 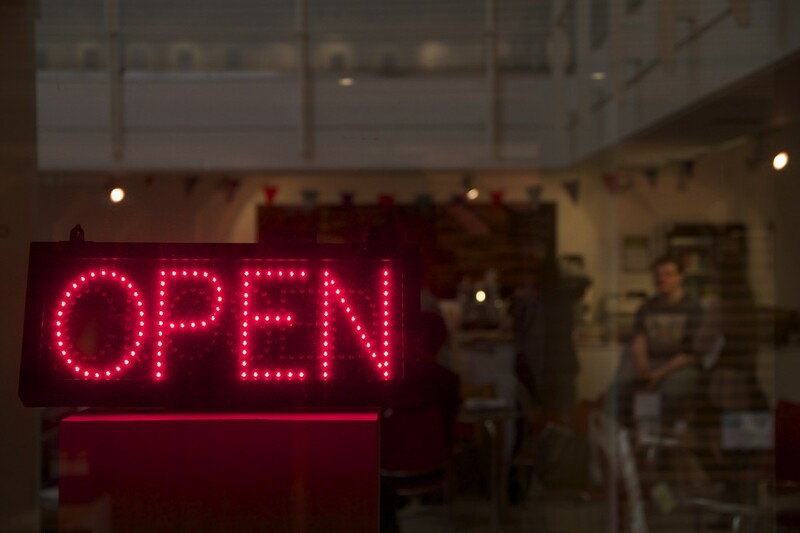 At the heart of OPEN is our café bar, open daily from 10am for most of Lancaster University’s Summer Term and situated in the Peter Scott Gallery on campus. If you have an idea or presentation you’d like to share during OPEN 2015 in the cafe bar, please let us know and we’ll see what we can do (email open@liveatlica.org). Live at LICA’s own programme during OPEN exploring the theme of the 21st Century Art Centre will take place across four weeks between 27th April - 23rd May as per the themes below. All events will be free to attend, with booking in advance sometimes advised. A detailed schedule and further information will be announced shortly.